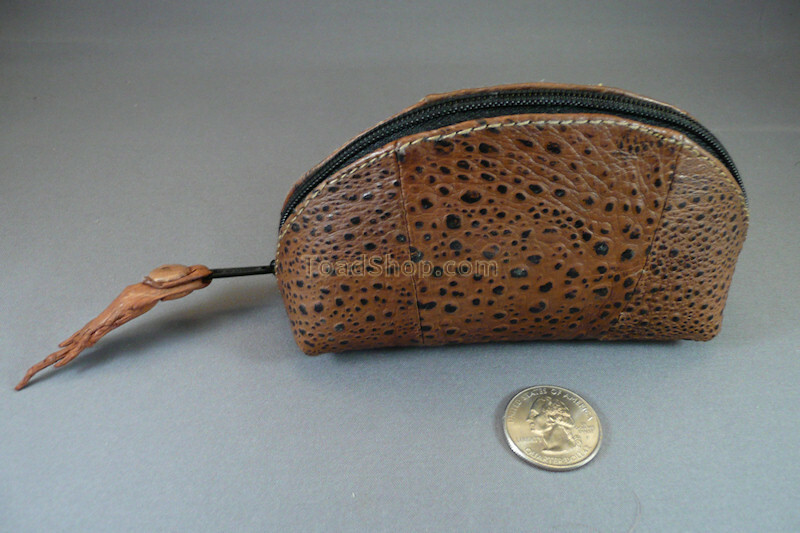 Small zippered purse made of quality Australian Cane Toad leather with pigskin liner. This purse is just the right size to put odds and ends in to organize your life. Perfect size for holding coins, makeup, ... It is made of soft rugged Australian Cane Toad leather on the outside, and black-dyed pigskin on the inside to protect against wear from keys, coins, whatever. It has a zipper closure with a cane toad foot pull. 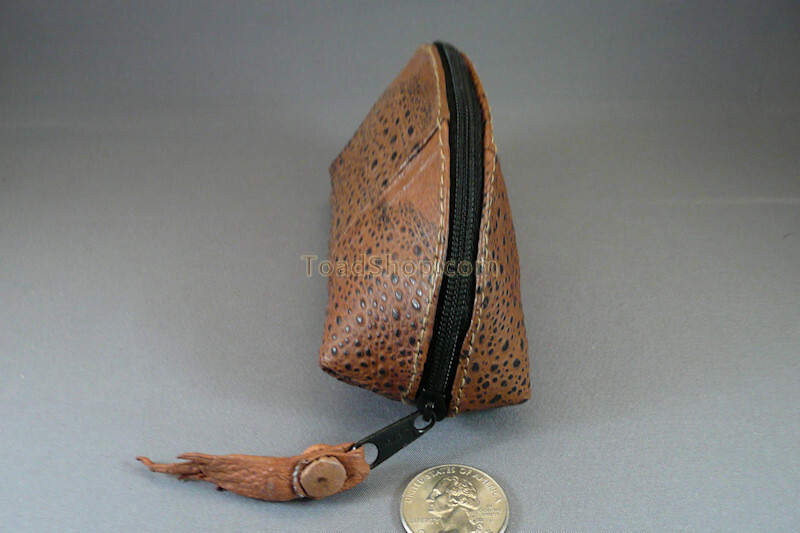 Uses might include a large coin purse, a sewing kit for traveling, small makeup kit, hair accessories. Be creative and let us know what you would use it for.